The Girl Scouts of the United States of America filed a trademark infringement lawsuit against the Boy Scouts of America on Tuesday after the Boy Scouts decided to drop "Boy" from its program and start welcoming older girls. According to the complaint, the Boy Scouts do not have a monopoly over such terms as "scouts" or "scouting," and its decision to rebrand itself Scouts BSA will erode the Girl Scouts brand and "marginalize" their activities. The Girl Scouts said there has already been confusion, with families, schools and communities throughout the United States already told it no longer exists or had merged with the Boy Scouts. "Only GSUSA has the right to use the Girl Scouts and Scouts trademarks with leadership development services for girls," according to the complaint filed in federal court in Manhattan. Officials from the Boy Scouts did not immediately respond to a request for comment. 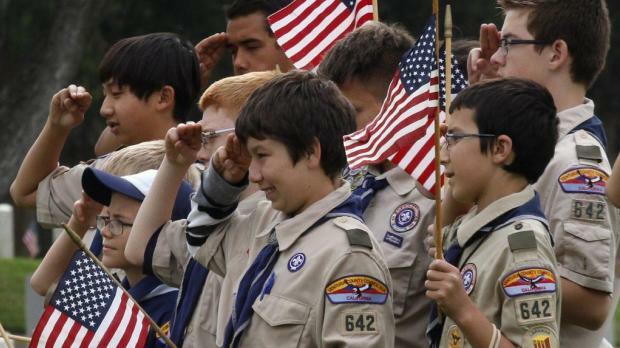 The Boy Scouts, which accepts children who are 11 to 17 years old, announced the name change in May, in connection with its new Scout Me In campaign featuring boys and girls. The lawsuit seeks a permanent injunction against trademark infringement and a variety of damages for the alleged dilution of the Girl Scouts trademark.